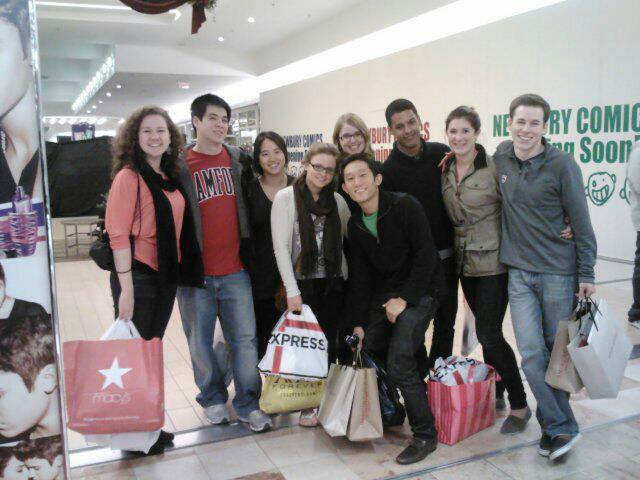 Harvard College Student Blog · Senior Life, H-Y, Thanksgiving, and Black Friday! Senior Life, H-Y, Thanksgiving, and Black Friday! Yikes, it’s been a while since I’ve posted an update on life. This semester has flown by. And I feel like I say that in every other post I type. It’s true, though! The past few months have been stressful and emotional. Senior year is weird. I think it’s starting to hit me that I only have one semester left. It’s bizarre thinking I won’t be seeing my 7 roommates everyday or that I won’t be able to head down to dinner with them in the dining hall next year. Aside from friends, there are also so many classes I want to take before graduating. There’s just not enough time! Looking towards the future, searching for a job is quite possibly the most daunting task I’ve ever had. As a senior, the culture here can be quite stressful and cause you to doubt yourself, especially when you feel like you’re the only person who has no idea what you’re doing next year. I’ve heard it all: unbelievable job offers that my peers have landed, to medical school folks either with a research position or those who are going straight to becoming a physician, to people who are just planning on taking a year to travel the world. However, there are so many people without plans who just aren’t as visible, which is what I keep trying to tell myself. I’m currently in the midst of applying for different opportunities, all of which I’m incredibly excited about. I know I’ll find something I love, but it does, indeed, get difficult hearing about people who have already figured out the next several years of their lives, so to speak. I miss being an underclassman. I think these feelings come with being a senior and would exist regardless of where I went to school. The thought of being somewhere other than the place that I love so much and have come to call home for the past three and a half years is incredibly scary. I don’t want to leave Harvard. Before we get any more nostalgic, seeing as I still have 5 months left as an undergraduate, let’s talk about the present, something more uplifting! This past weekend was Harvard-Yale, as Jeanie mentioned in her last post. We have this huge rivalry with Yale (surprise!) that dates back since the beginning of time. 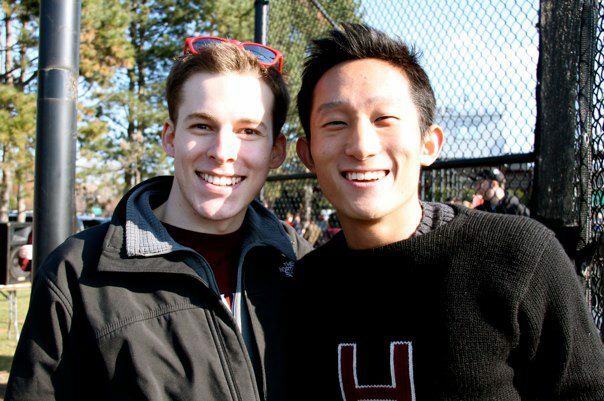 Each year, students and alumni from both schools gather at Harvard or Yale (the location alternates schools every year) and reunite all to watch the Harvard-Yale football game in what is probably the most memorable weekend of the fall semester. This year, The Game (yes, it’s a proper noun) was at home at Harvard Stadium and I had the opportunity to catch up with a friend from Yale! 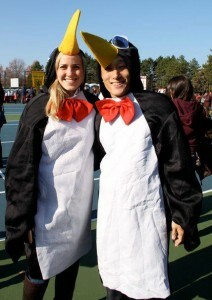 Funny story–she and I met at Harvard’s Pre-Frosh Weekend (now called Visitas) back in 2009. She ultimately chose Yale, but we’ve kept in touch since and had our first meal together in my dorm building, Quincy House, since we first met as seniors in high school. It was so nice catching up with her and we had a great conversation about our experiences at our schools. There were too many good memories to pack into such a short meal! As far as The Game goes, we won 34-24! My class, 2013, has been really lucky because we haven’t lost once since we’ve been Harvard students. I think Yale needs to step up their football game 😉 In her post, Jeanie mentioned the Rhodes Scholar interviews that occur every year on the weekend of Harvard-Yale. There were indeed not one, not two, but SIX winners from Harvard this year! Of those six, four live in Quincy and three are friends of mine! We’ve been laughing saying that there must be something in the Quincy water. All four winners literally live within 20 feet of each other in the same hallway. I can poke my head out my door and see their rooms. I’m so happy for all six of them. What an achievement–definitely worth missing The Game for! I’ve been home, just about 40 minutes north of campus on the border of New Hampshire, for a few days now on Thanksgiving break. I also went shopping at midnight yesterday (or early this morning, rather) for Black Friday, which is a day of the year when many retailers open their stores at ridiculously early hours with huge sales to get rid of much of their inventory. It’s one of the biggest days in the United States for the retail business, as well as a day when many people get their holiday shopping done. It sounds crazy that I went at midnight, and even crazier that I drove back to campus to pick up some of my roommates and blockmates (up to 8 people you choose to be placed into the same House as you after freshman year)! I guess that’s one of my favorite parts about being a local student. I can go home for breaks, bring people with me, or just drive back to campus if I want to hang out with my friends. We had too many people who wanted to go shopping, so my roommate/blockmate, Adam, rented a Zipcar for the entire morning. We took advantage of a lot of the deals and shopped until 7 am! I’m trying to relax, spend time with family, and eat leftover Thanksgiving desserts (pie, anyone?) before heading back to campus on Monday morning for Reading Period and exams. I’ll be sure to update more regularly now that the crazy part of the semester is over! Can’t remember if this has been publicly shared with the blogging community, but snaps on snaps to Scott for his Senior Class Marshall position!!!!! Who will he be working with? Great pictures, Great story’s !